[BBC News] China has urged Malaysia to “step up its efforts” in the search for the missing Malaysia Airlines plane that disappeared on Saturday. Nearly three days after the jet went missing, an international effort has still not found the plane’s wreckage. Flight MH370 vanished from radar almost three days ago en route to Beijing from Kuala Lumpur, with 239 people on board. China said the Malaysian authorities needed to “step up their efforts” to find the missing airliner, which had more than 150 Chinese nationals on board. “We… have a responsibility to demand and urge the Malaysian side to step up [its] search efforts, start an investigation as soon as possible and provide relevant information to China correctly and in a timely manner,” said Chinese foreign ministry spokesman Qin Gang. Patience appears to be wearing thin in the search for the missing airplane, says the BBC’s Celia Hatton in Beijing. Where is the Malaysia Airlines Plane? [BBC News] RAF Typhoon jets have been launched to investigate an incident involving a civilian aircraft within UK airspace, the Ministry of Defence has said. A Pakistan International Airlines plane has been diverted from Manchester to Stansted Airport, a Manchester Airport spokesman said. The BBC understands that the plane has now landed in Stansted. The plane reportedly left Lahore at 09:35 local time. It was due in at Manchester at 1400 BST. 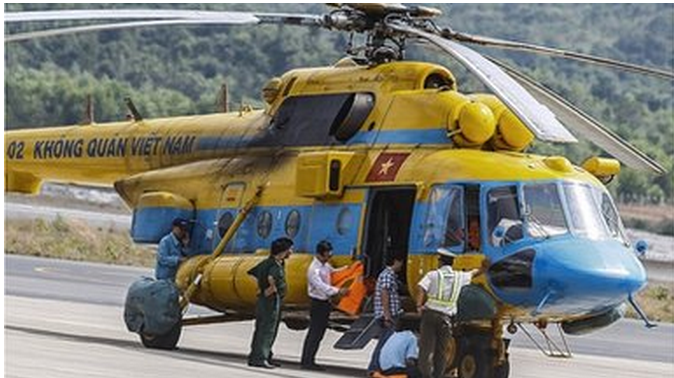 BBC defence correspondent Jonathan Beale said that police were expected to meet the plane at the airport. The plane, flight number PK709, reportedly left Lahore at 09:35 local time. It was due in at Manchester at 14:00 BST. The MoD said responsibility for the incident had now passed to Essex Police and the Home Office. The MoD was not able to say how serious a threat there was on board. An MoD spokesman said the incident was now a police matter and that “our involvement is over”. He said Typhoon jets could be scrambled after the pilot or crew of a passenger aircraft sends out an emergency signal. “The purpose of going up is to investigate what the situation is,” he said. “Often when a Quick Reaction Alert aircraft is launched the details are not known, but it is known that a signal has been sent. A Pakistan International Airlines spokesman Zufiqar Bijarani told CNN: “We have been told there may have been a bomb threat.” But he did not say if he had anything to confirm or deny this. Stansted Airport said on Twitter that it was operating normally. 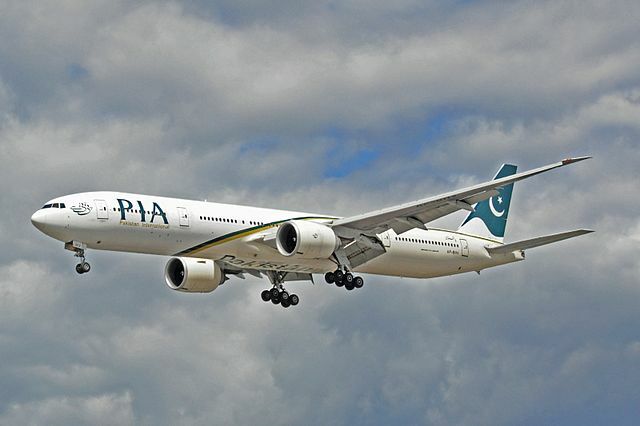 Pakistan International Airlines said there were 308 passengers on board, as well as 14 crew including pilots, with a mixture of Pakistani and British passport holders. [BBC] An airline security worker has been suspended after failing to spot a fake bomb as it passed through the X ray machine. Manchester Airport said it had launched an investigation into the incident. The Department for Transport spokesman said it conducted regular airport tests but could not comment further. The spokesman said: “The safety of the travelling public is paramount, which is why the UK combines intelligence, technology and other measures to provide one of the strictest regimes for aviation security in the world. In July, Manchester Airport suspended a number of airline staff after an 11-year-old boy boarded a plane from Manchester to Rome on his own without a passport, tickets or boarding pass. The boy mingled with families to get through checks and was found mid-air on the Jet2 plane after passengers became suspicious. 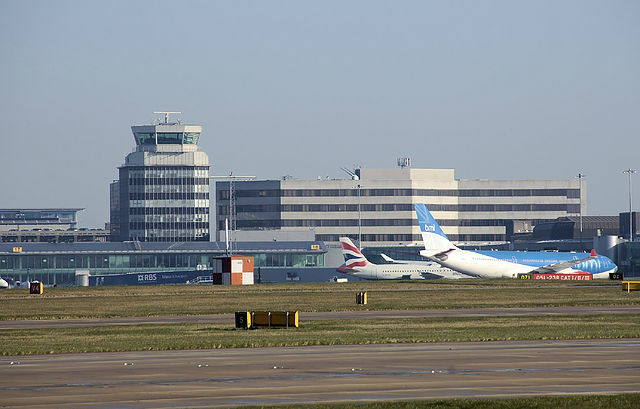 Read the original story at the BBC…..
[BBC News] A consultation on expanding airports in south-east England has been delayed again amid reports of tensions within the coalition over the issue. 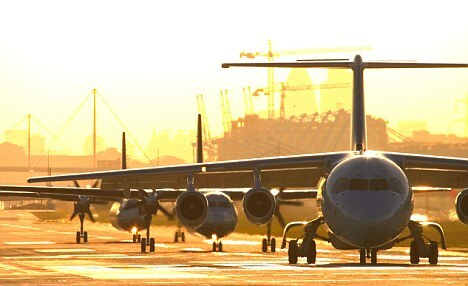 Waiting: Planes queue for take off at London City Airport – congestion could increase air fares. The consultation had been due to be announced later but is now unlikely to go ahead until the autumn. The Lib Dems are opposed to expansion, and the coalition agreement rules out new airports in the region. But there is speculation that Chancellor George Osborne is warming to the idea of a third Heathrow runway. 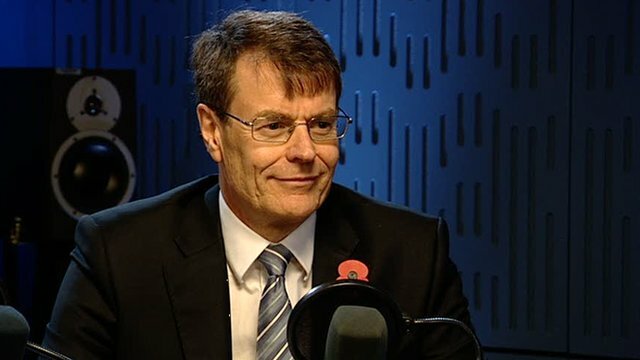 Several Tory MPs are also openly supporting the plan, says BBC transport correspondent Richard Westcott. They have been accused of trying to delay everything until after the next election, when they believe they could be in power as a single party. It is another delay for a consultation that was meant to start in March, then delayed until the summer, and is now likely to wait until the autumn. It was dealing with some of the thorniest issues in aviation, including whether to build a third runway at Heathrow airport in west London, or perhaps build extra runways at Stansted or Gatwick. Some concerns have been expressed about the environmental impact of a third runway at Heathrow and the potential for it to damage people’s quality of life. Conservative MP Zac Goldsmith, a well known environmentalist, said he would not stand as a candidate for the party at the next election if it supported a third runway. London Mayor Boris Johnson also opposes…..
[From a BBC News Feature] Olympic torch: Top pilot’s ‘most precious cargo’. When pilot Captain David Thomas takes off from Athens El. Venizelos airport later today, on board his gold-painted plane will be a highly precious cargo. Classed as dangerous goods, there is a specific regulation for the carriage of the Olympic flame. Strapped into seats 1A and 1B, in what would normally be business class, will be the Olympic flame as it makes its journey from Greece to the UK. Its arrival heralds the start of a 70-day relay around the UK ahead of the 2012 Olympic Games in London. 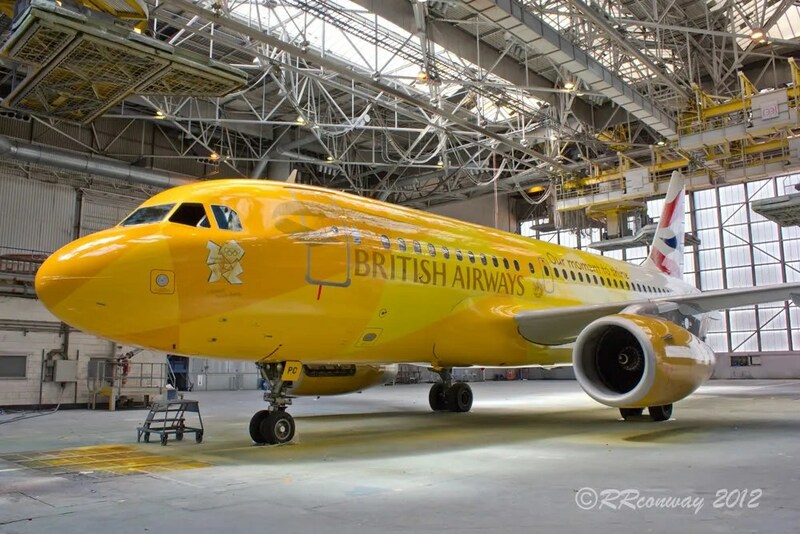 On board the British Airways plane, named The Firefly, will also be a party of dignitaries including footballer David Beckham, Princess Anne and London 2012 chairman Seb Coe. At the controls of flight 2012 from Athens International Airport to the Royal Navy airbase at Culdrose in Cornwall, Mr Thomas knows the eyes of the world will be on him and his team. 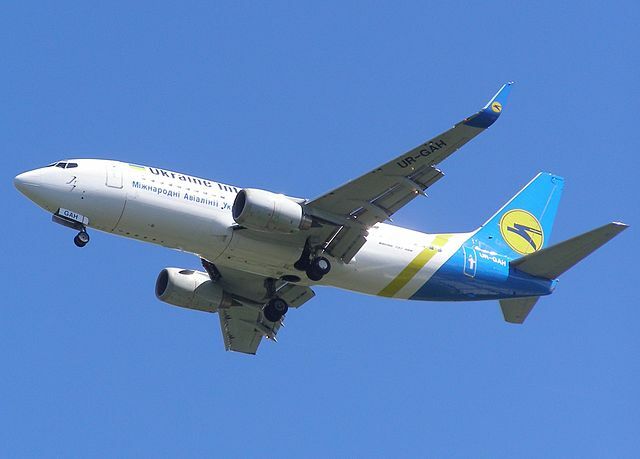 “You try to forget about a lot of the external pressure as it’s not helpful, when you’re flying passengers you are thinking about safety,” he told the BBC. “I’ve been in that position before, you don’t want to get it wrong but I have got a couple of great guys with me. The UK Civil Aviation Authority has approved a detailed safety case drawn up by Mr Thomas and BA’s Dangerous Goods team. The flame is in four lanterns which sit in two specially-made metal cradles secured to the chair by a seatbelt and a Velcro strap. In seat 1C will be the fire warden – a Metropolitan Police officer trained in firefighting – who will monitor the flame for the duration of the 1,500-mile flight. Unusually, and reflecting the significance of the flight, Mr Thomas will be joined by two pilots – a captain and a first officer – whom he selected. “We’re taking an extra pilot which helps with the distractions and if one of you goes sick. It also allows you to delegate responsibilities which is helpful in…..